Hold more than one initiation ceremony per academic year to increase the visibility of your chapter; many chapters hold an induction in both the fall and spring terms, and some hold a third initiation during the summer. Initiate any activity not already mentioned that relates to the ideals and mission of Sigma Delta Pi. Finally, do not forget to submit your chapter’s annual report! 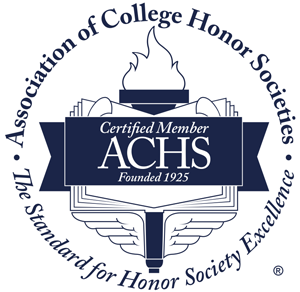 Honor Chapters are selected based upon these reports, so regardless of your chapter’s outstanding activities, if you do not submit a report, your chapter will not be considered for any national recognition. These and other activities are described in further detail in the downloadable Chapter Handbook, an invaluable resource for all chapter advisers and student members of Sigma Delta Pi. If you have any doubts about these or other possible chapter activities, do not hesitate to contact Dr. Mark P. Del Mastro, Executive Director.